Massachusetts offers many programs for the under- and unemployed, to get them working and sometimes even running their own business. 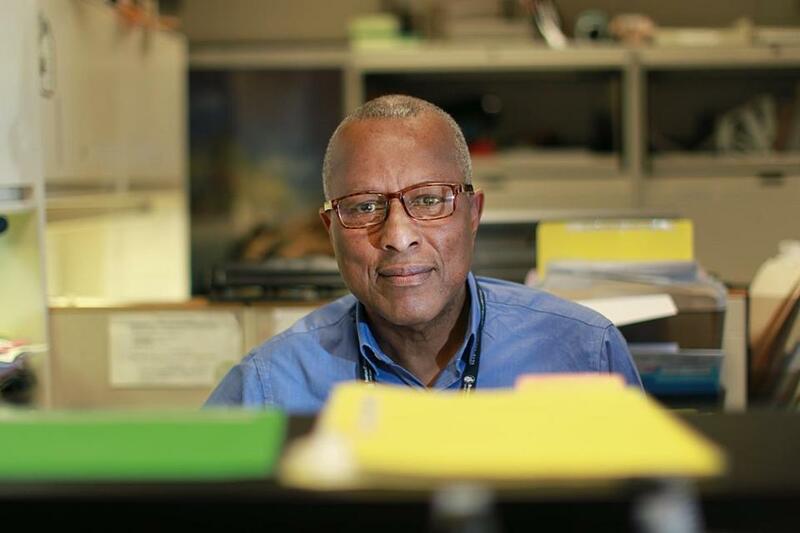 CAREER CHANGE HAPPENS more than ever these days: Malden’s Paul Benford-Bruce, nearing retirement age, decided to try a new profession instead. Russian emigre Olga Mulugeta found opportunities in health services. Josue Jerez wanted to re-imagine his computer repair business as a service to his Lawrence community. They all got a fresh start thanks to private and public efforts that fund job training in Massachusetts. Shifts in Greater Boston’s economy spotlight retraining efforts that connect “unemployed and underemployed people with actual job opportunities,” says Mark Melnik, director of economic and public policy research at the UMass Donahue Institute. “This is a point of emphasis with the Baker administration,” he says. In January, Governor Charlie Baker earmarked $5 million for job-training initiatives to develop more skilled labor for Massachusetts employers. It’s the latest in a series of moves to fund job training in the Commonwealth, particularly in Boston. Some of Baker’s earmark will go to the Workforce Competitiveness Trust Fund, established in 2006. Three years before, in 2003, the Boston Foundation and the City of Boston created the funder collaborative SkillWorks, a $25 million public/private partnership to help low-income, low-skilled adults. Among SkillWorks’s grant recipients are the Asian American Civic Association (AACA), Jewish Vocational Services (JVS), and Operation A.B.L.E., all of which train people from a variety of backgrounds in industry-relevant skills. These organizations are producing good results: Three-quarters of previously unemployed participants who finish their programs find work. JVS helped Mulugeta’s husband bring her and their then-4-year-old son to Boston, and helped Olga learn English. JVS, whose services are free for job seekers, also helped her find a job as a home health care provider for Russian-speaking seniors. What kind of results do job-training programs yield? One study of 12 Boston-area programs found a majority landed new jobs, improved their earnings, and more. She then completed a JVS program that trained certified nurse assistants and was placed at her current employer, Hebrew Rehabilitation Center. Most recently, JVS and the center helped the family become US citizens. “I’m a regular customer” at JVS, says Mulugeta. For Sudha Bhandari, it was the AACA that helped out when she moved from Nepal to Massachusetts in 2013. Bhandari had worked in the Nepali banking industry for 5½ years, but found “banking is a little different here. It’s about sales and customer service.” And her English skills did not match her job experience. The AACA offers a Careers in Banking and Finance program, and Bhandari qualified for association funding to cover the $6,300 cost. It’s not just immigrants who benefit from job training programs. “You do see instances, too, of older workers doing what are called ‘encore’ careers or making a significant career change later in life,” says Melnik. That’s Benford-Bruce’s story. The Massachusetts native spent 23 years at New England Telephone and its follow-ons, mostly as a manager, until he took a buyout in 2003. In 2005, he went into acting, including working with Alan Alda on the PBS documentary Brains on Trial. Paul Benford-Bruce retrained at an Operation A.B.L.E. program for workers 45 and older and is now a coordinator at Boston Children’s Hospital. But after seven years, he says, “I got a little antsy with the acting. I wanted to get back out there and see what I can do.” He didn’t know where to start until he came across Operation A.B.L.E., which provides job training and employment services for people 45 and older. PEOPLE REBOOTING CAREERS in the Boston area face one set of issues, those in cities like Lowell and Lawrence another. The less vibrant economies in these mid-size cities mean a lack of investment capital and fewer jobs. Enter Gururaj “Desh” Deshpande, entrepreneur-turned-venture capitalist and the man behind the Deshpande Foundation. In 2010, Deshpande pledged $5 million over five years to start the Merrimack Valley Sandbox, a program to help people start businesses, modeled after a similar enterprise he had founded in India. He chose to invest in the Lowell/Lawrence area in part because it’s near his home, but also because, while Boston already had a number of programs in place, Lawrence didn’t and had more need. The program, now called Entrepreneurship for All, runs business-pitch competitions and English- and Spanish-language business accelerators, working with groups of budding go-getters and giving them business training and mentoring. Eighty-nine entrepreneurs have gone through the EforAll program, and more than three-quarters are still actively pursuing their business ideas. Among them are Josue Jerez, Leanne Tremblay, and Krysten Callina. After Leanne Tremblay lost her job in 2013, she got a spot at Entrepreneurship for All’s accelerator to launch a business. In 2002, Jerez’s father opened a small electronics repair shop in Lawrence, which closed after two years. Eleven years later, Jerez reopened it with a focus on computers. He surveyed families in his area and found a quarter didn’t have computers with Internet access. “There’s a digital divide,” he says. Jerez had known Janin Duran, who is now director of EforAll’s Spanish program, EparaTodos, since high school. Duran told him about EforAll’s accelerator program, an intensive 12-week training course that offers classes, mentors, working space, a competition that awards cash for launching a business, and ongoing advice. Jerez, who is also working on a bachelor’s degree in electrical engineering at UMass Dartmouth, tried three times to get in. In March 2015, he was accepted for his third idea — refurbishing computers discarded by large companies and getting them to local people who want to connect and search for jobs. Leanne Tremblay, 33, has a master’s from Brown University in public humanities. 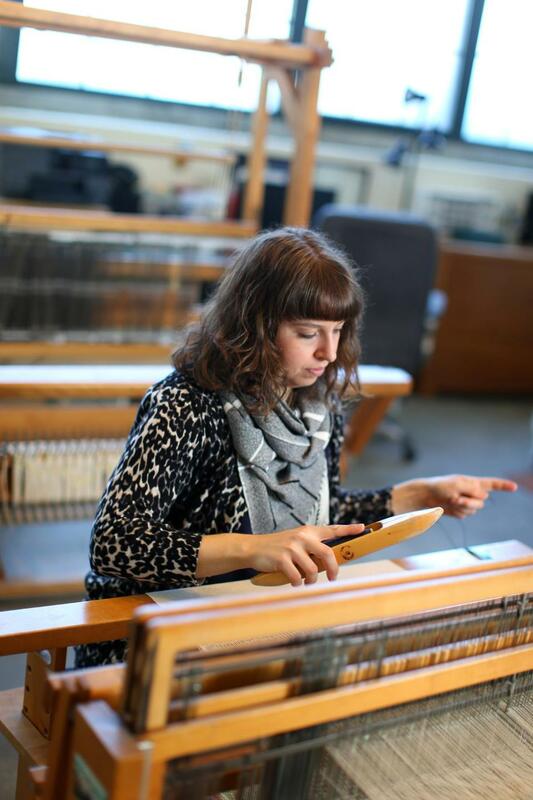 Despite her Ivy League education, she was laid off from her job at the New England Quilt Museum in 2013. 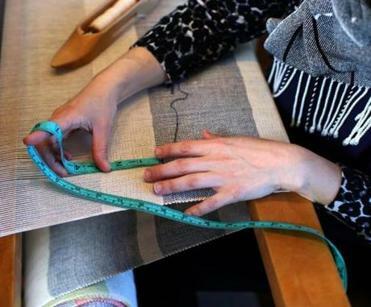 While job searching that fall, she started Loomination, a hand-weaving studio in Lowell where she makes custom home decor using natural fibers. In February 2014, she entered a pitch contest at EforAll and won third prize, which earned her $500. That summer, she joined the accelerator program to learn how to convert her art practice into a business. One thing she says she got was the confidence to promote her wares. Tremblay applied for the 2015 Martha Stewart American Made Awards and was a finalist in the crafts category, which, she says, still drives traffic to her website. “EforAll made me feel better about trying to find opportunities and to just try and do it,” she says. When Sudha Bhandari moved from here from Nepal in 2013, her business English did not match her banking skills. 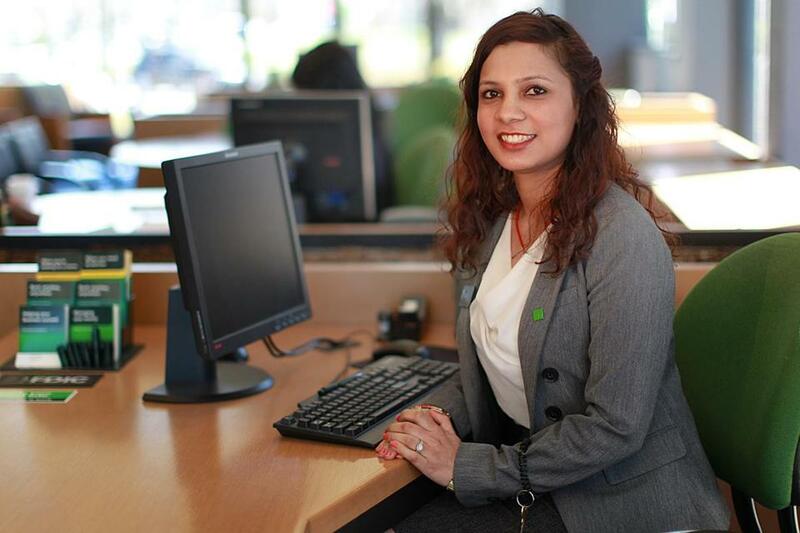 An Asian American Civic Association program helped her land a head teller job at TD Bank. They started organizing Nerf Wars, which, she explains, are “planned games with Nerf blasters.” The idea is to transfer the experience of playing video games into the real world. “It totally exploded,” she says. “At one point, we ended up getting almost a hundred kids.” In the middle of 2015, Callina and her husband started Mastermind Adventures in their Somerset home, which they formally incorporated in February 2016. When she heard about a pitch competition at EforAll’s newly opened South Coast location in New Bedford, she entered, won, and then enrolled in the accelerator program. Before EforAll, she was struggling to keep up with the way her business was growing. But now, the 43-year-old says, “I know what I’m doing. I have a plan. I know how to move forward.” Mastermind Adventures has two part-time employees and hopes to make them full-time this summer. 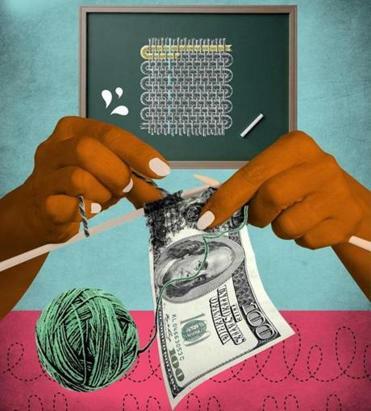 Career training organizations don’t just benefit individuals, they can help economies. A Job Training Alliance report in 2015 found that nine Boston-area organizations, including AACA, JVS, and Operation A.B.L.E., saw participants increase their wages by more than $9 million a year and reduce their need for public assistance by 80 percent. Jonathan D. Fitzgerald is a writer in Malden and a PhD student in English at Northeastern University. Send comments to magazine@globe.com.